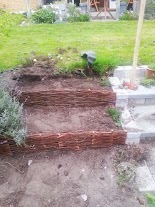 So after the garden stairs project I was left with a little mess / problem. The hill the stairs went up was lower then the stairs themselves every time it rained dirt was washed down onto the stairs. I have had a problem with this little hill for a while. A few years ago I put bark down to deter the weeds which worked very well, but every time it rained the bark would be washed down the hill into the grass. Looked terrible and had to be raked back into the bed before we could mow the grass. I knew I needed to terrace the hill but I wasn't sure how. I didn't want to have to buy stones to terrace it the hill is to long and I didn't want to have to lug so many stones though the garden. I don't think my back could take that. I found an alternative, these little willow fences are pre-made in meter lengths and don't cost that much either. I know they will rot out at some point but i'm hoping for a few years at least. 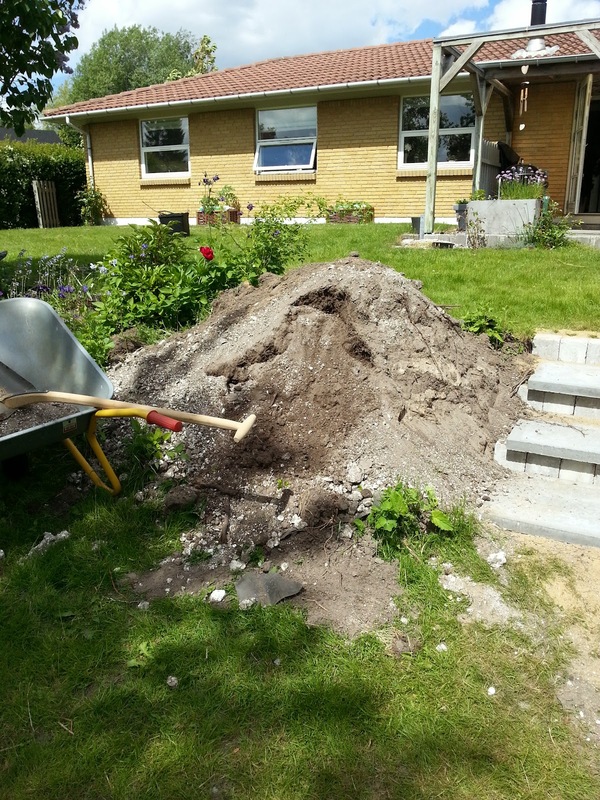 This is a weekends worth of work and several (at least 10) wheel barrows full of dirt was removed to terrace it right. I'm not done that's probably only a third of the bed that needs to be terraced but boy does it look so much nicer. I placed landscaping cloth behind each of the little fences to keep the dirt in when it rains, I tested that it worked by over watering a section and the dirt stays in. Once the plants grow and fill everything in I think this is going to look wonderful. I had a load of bark delivered yesterday and I'm going to put it down on each terrace to deter the weeds, this time they wont wash out. 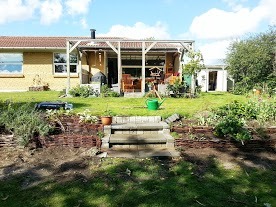 My plan is to use river stones in the front of the last terrace and maybe plant some succulents in it, that way we can mow the grass right up to the line where the rocks start. I wont have to get the weed whacker out to cut the grass in front the terraces.